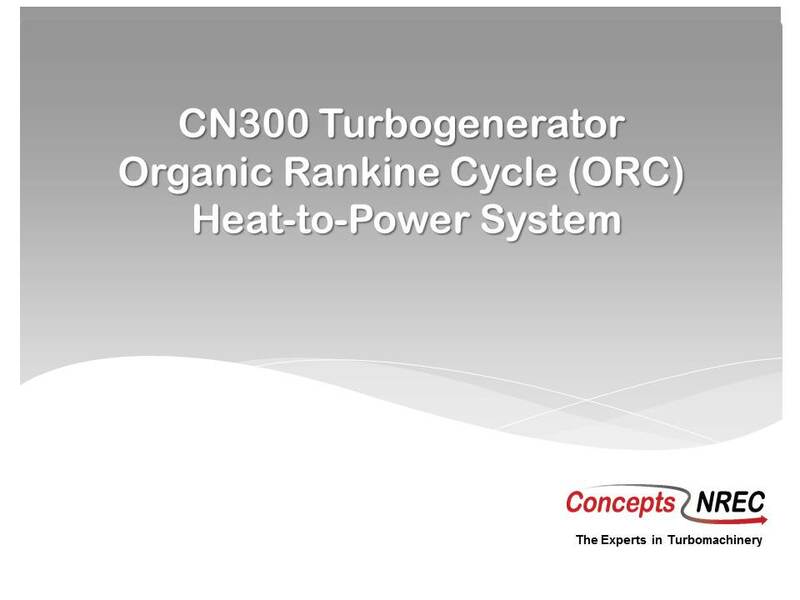 Concepts NREC, with over 60 years of turbomachinery expertise, can create custom compact, high-speed, hermetically-sealed turbogenerators based on customer-specific needs. These turbogenerators are designed for converting low temperature heat to electric power using an Organic Rankine Cycle (ORC) process. Concepts NREC offers design plans and the intellectual property needed to manufacture your own turbogenerator. To find out more about licensing options, please contact info@conceptsnrec.com. Increasing concerns for protecting the environment and the escalating cost of energy itself have raised interest in energy conservation to an all-time high. This interest extends to waste heat recovery systems. 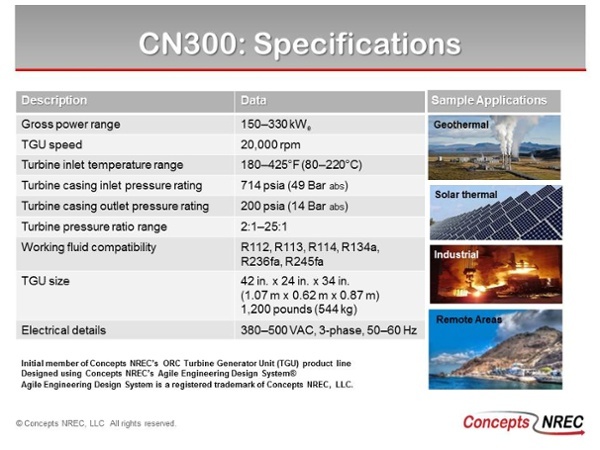 These systems produce electric power by converting thermal energy to electrical energy. And, when site conditions involve temperatures too low for conventional heat recovery systems, ORC processes become the best solution. These are typically defined as any heat source at temperatures below 800oF. 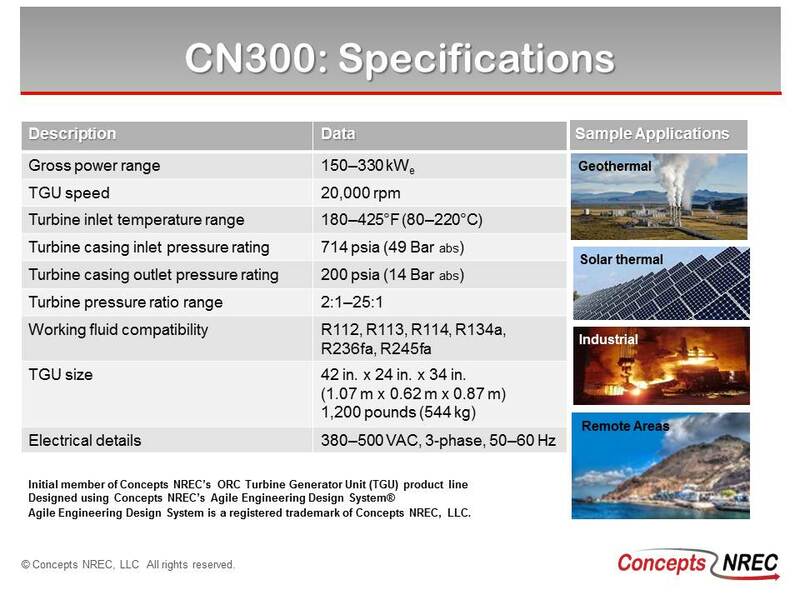 In fact, according to one U.S. Department of Energy report, there could be as much as 1.5 to 2.0 quadrillion BTU/year of heat with temperatures below 500oF available from exhaust gas streams in the industrial sector alone. Naturally occurring heat sources may be just as plentiful. 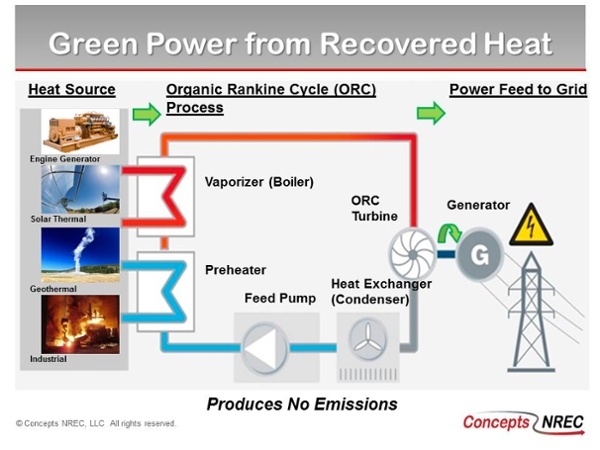 Concepts NREC has developed several ORC energy recovery machines for customers, similar to the one below. 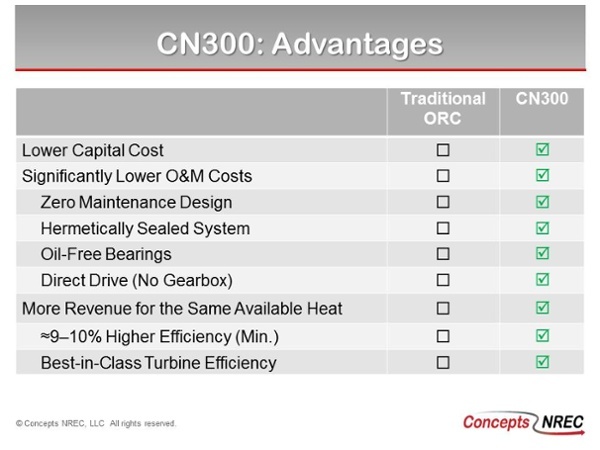 The design is a patent-pending, hermetically-sealed design, with an ORC turbine and permanent magnet generator directly coupled that improves mechanical efficiency by up to 10 percentage points over conventional designs. 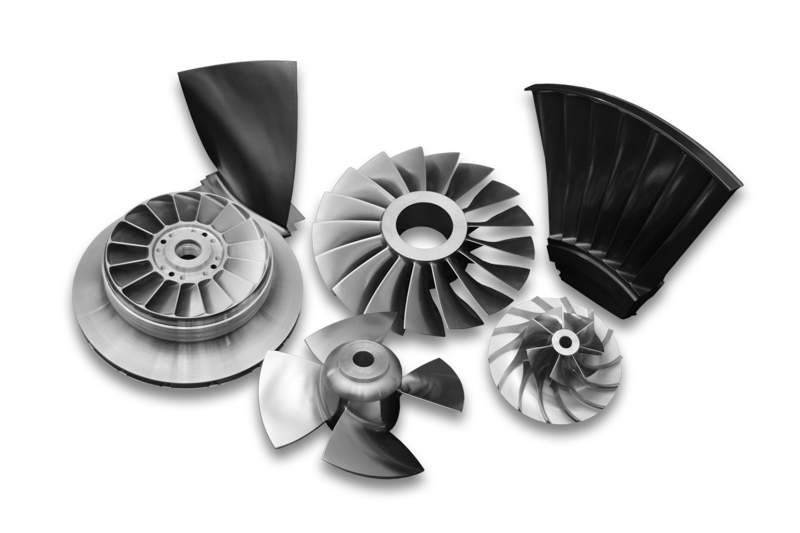 Our turbogenerator is a one-to-four stage, axial, impulse rotor-nozzle design configured in a subassembly cartridge arrangement. With its flexible flow path design, the turbogenerator can generate up to 330 kWe over a wide range of inlet conditions. It can also be customized by changing the aerodynamic shape of the turbine’s stages of rotors and nozzle stators. 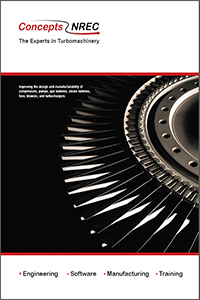 The basic design can accommodate a wide range of turbine rotor and nozzle cartridges. 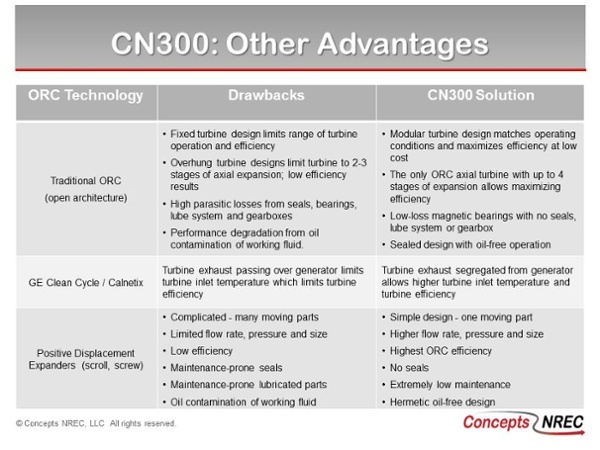 By using magnetic bearings, all of the cost, weight, space, interconnecting controls, and general complexity of an auxiliary bearing lube oil system are eliminated. 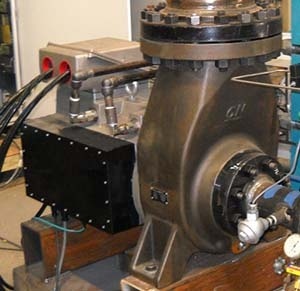 The use of active magnetic bearings also means that the separate vibration probes and/or proximity sensors that would normally be required to monitor gearbox shaft vibration levels are also eliminated. 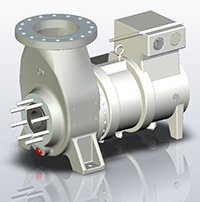 Our design for a turbogenerator also has state-of-the-art electric generator drive controls. As a result, it doesn’t require an independent, electro-mechanical speed governor to safeguard against turbine over speeding. 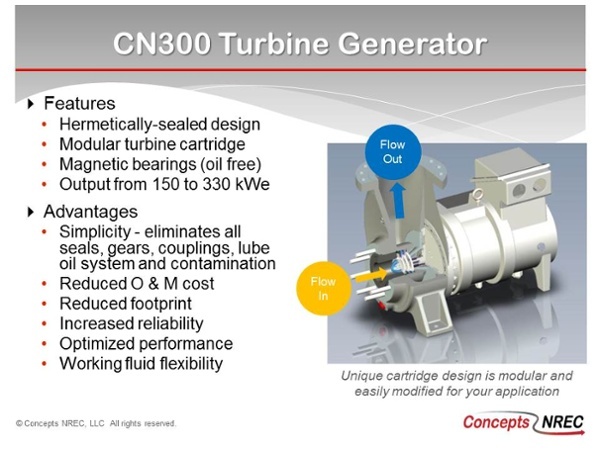 This hermetically-sealed turbogenerator also eliminates the need for any shaft seals that keep the organic fluid within the ORC system’s closed loop piping. 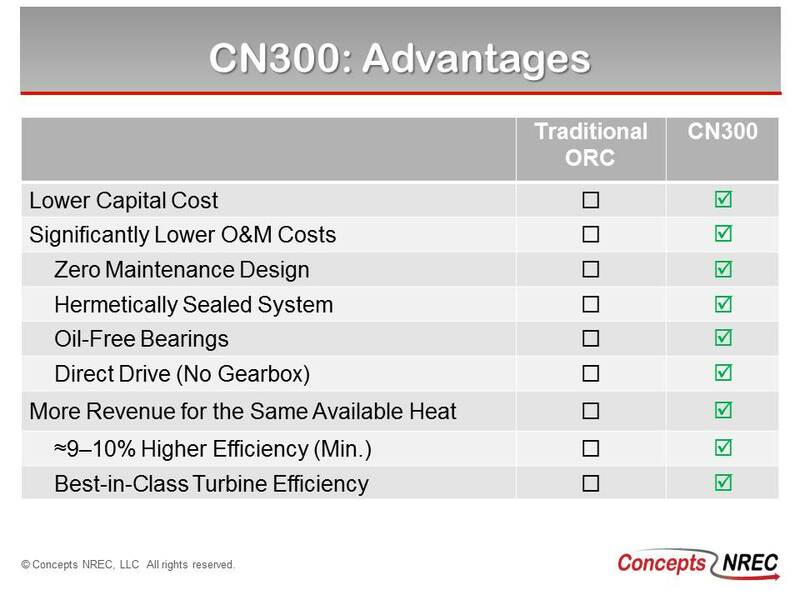 With its inherent flexibility, our design offers more power and revenue for a given heat source, greatly reduced operating and maintenance costs, increased reliability, and a significantly smaller footprint than any other ORC turbogenerator available in the world today. To consider anything else for low temperature waste heat recovery systems could be an expensive mistake. 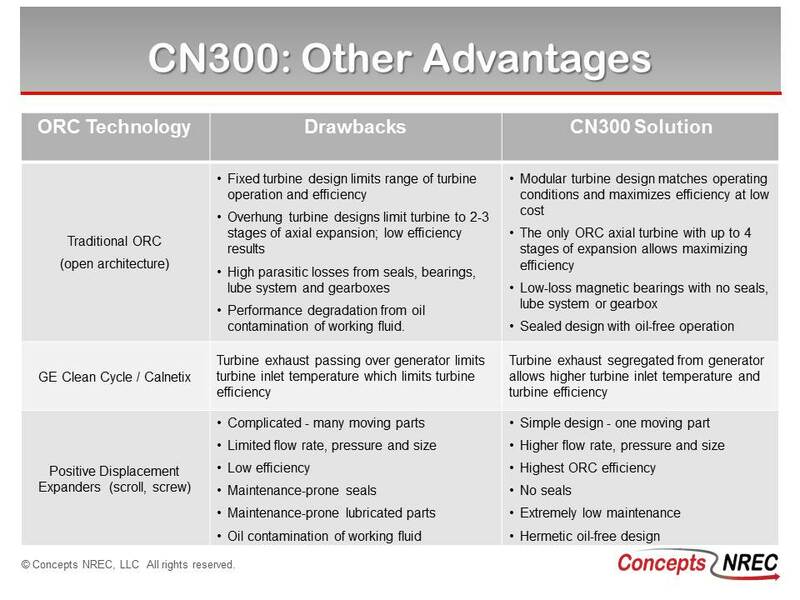 Concepts NREC offers design plans and the intellectual property needed to manufacture your own CN300 turbogenerator. To find out more about licensing options, please contact info@conceptsnrec.com.